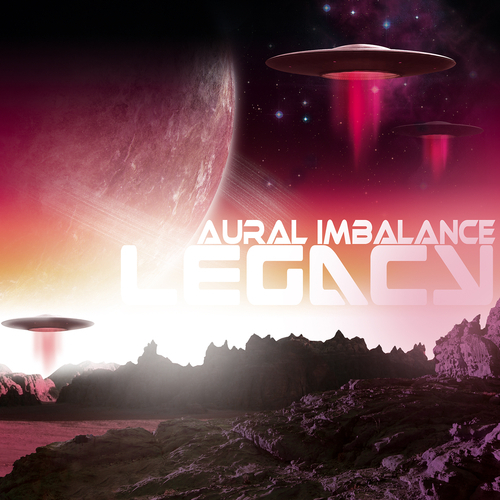 An Aural Imbalance Drum & Bass album has been the in the making for quite some time and has finally come together in the form of Legacy, it has been the artists intention from the start to produce a mixed album, as each individual track is part of a larger story. I have put my heart and soul into every track with a nod to the past and an eye to the future, in terms of both production and sound, I find it poignant that Legacy has found it's natural home as it were on Cadence Recordings, which is where my astral d&b adventure started many moons ago, it's with this in mind that the artist wishes you the listener, a deep and atmospheric voyage with both Cadence and myself! Enjoy. Uplifting with a futuristic theme, Aural Imbalance has released an EP with plenty of atmospheric grace on the label Cadence Recordings. Titled ‘Legacy’ it is a fantastic little find which sits right in the deep end of the Liquid pool. If you are a listener of LTJ Bukem or any of the Intelligent Drum and Bass that came about earlier when the scene was just coming out of its infancy in the mid 1990s, this EP will be right up your street. Producers who put out this kind of electronic music really allow the listeners mind to be taken to a higher place. Unfortunately at this time we can't offer all the Aural Imbalance - Legacy tracks as individual wavs, as some of these tracks exceed the shops maximum (9mins) download length.